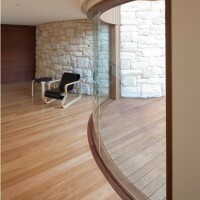 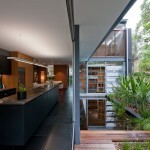 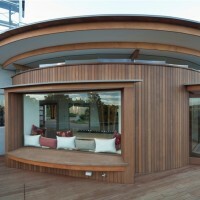 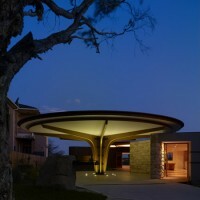 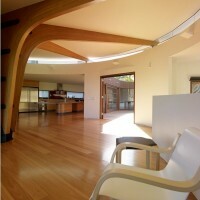 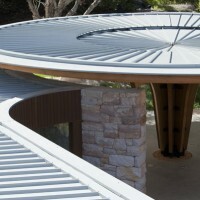 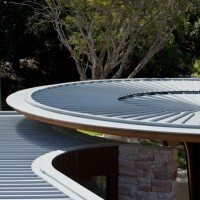 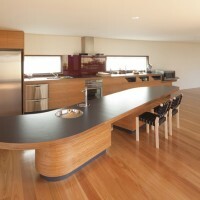 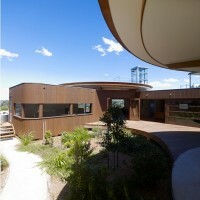 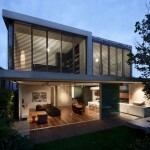 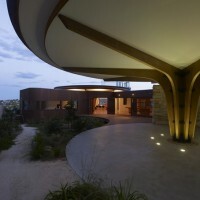 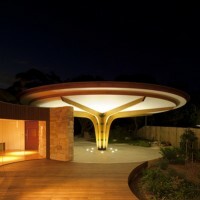 Jorge Hrdina Architects have designed the Lilypad house in Sydney, Australia. 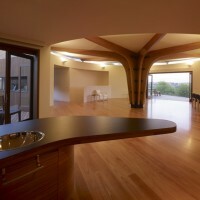 The Lilypad House was designed to accommodate ease of access by wheelchair and provide the inhabitants with a sanctuary from typical suburban consolidation. 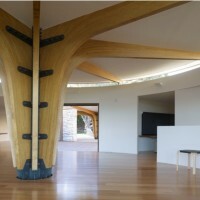 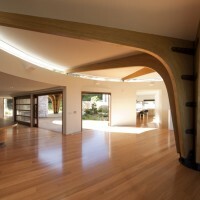 The refined twin portal frames of radial timber laminations stand as freestanding structures that anchor the two ends of the house. 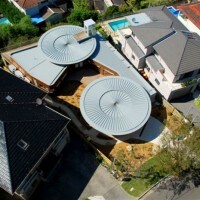 Rather than completely consume the site as the neighboring houses, the lilypad house employs low walls and ceilings while wrapping itself around a sun filled garden courtyard that forms a connection with the park directly opposite. 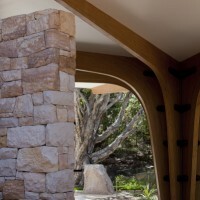 No physical boundary exists between the house and the natural landscape, allowing for a thoughtful meander between public and private. 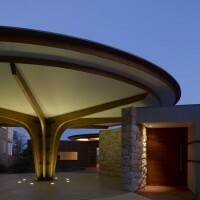 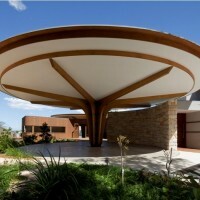 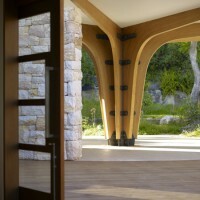 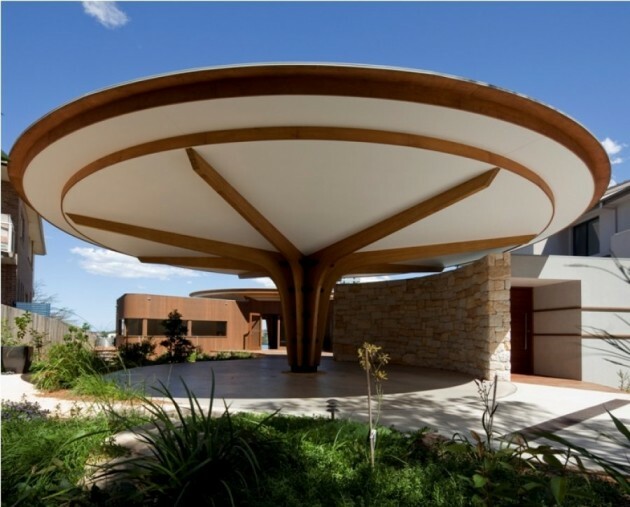 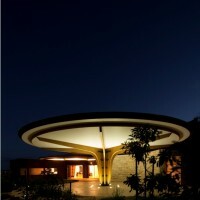 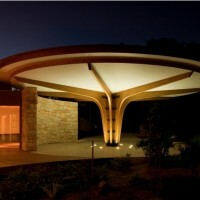 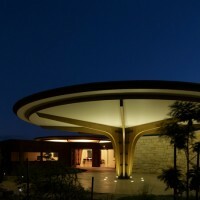 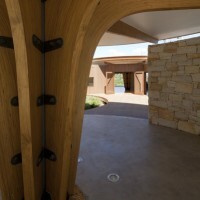 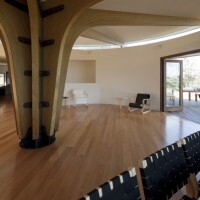 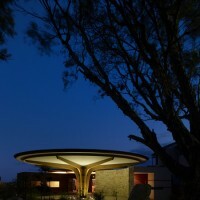 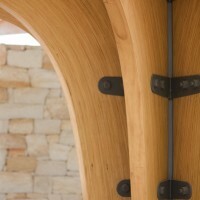 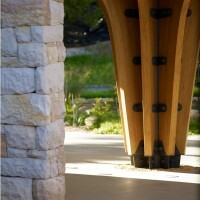 Visit the Jorge Hrdina Architects website – here.